It’s Sea Week, a time for schools, parents and public to turn their attention to the treasures of the sea. Unlike a trip to the beach or the bush, it’s hard to show children what lives under the sea, although there are more and more great programmes to get kids snorkelling and out and about on the ocean. Sometimes books, the internet and Apps are what is needed to give a good picture of what is beneath the surface. 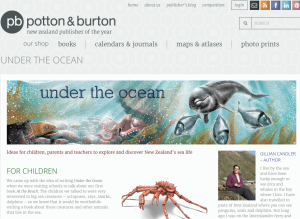 Our book “Under the Ocean” aims to do just that for younger readers and we’ve worked on showing different habitats, reefs, sea floor, deep ocean etc as well as some of the creatures that live there. But there was a limit to how many animals we could show so I’ve been looking at websites and apps to help parents, teachers and kids find out more about what is beneath the surface of our oceans. Some of the best are listed in our notes for children, parents and educators. You’ll find tips and ideas here for activities and reading the book too. Now for my top two Apps – what’s more they are free! 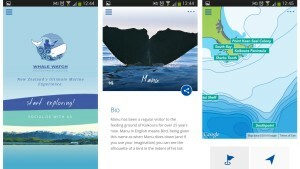 The Whale Watch App covers the marine mammals and birds that visitors to Kaikoura might see. As well as a picture of each species and information about them, the App allows people to post sightings of that particular species to Facebook. The little picture that pops up with the post, gets around the difficulty that most visitors will have of getting a good photograph of the animals. I also like the two Conservation Challenges – which pose questions and propose action. While this App is designed for tourists, locals (not just those in Kaikoura) will enjoy it too, and it is pitched at a level that will suit families, parents reading to their children, and primary school children using it themselves. 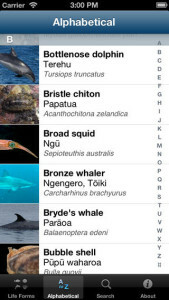 And it’s good to see that Auckland Museum’s New Zealand Marine Life App has fixed a couple of issues since I reviewed it in 2015. While the map still focusses on the Auckland region, a note below let’s the user know which of our islands or regions the animal or plant can be found in. The text is now clear and easy to read. 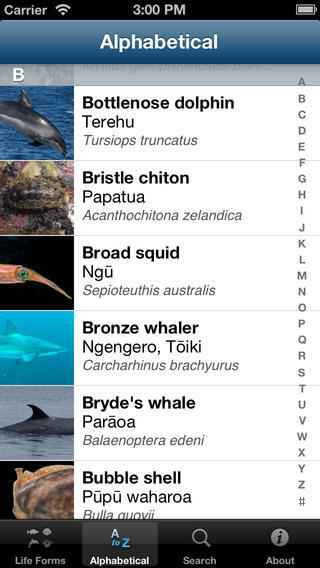 This app covers birds, fishes, invertebrates, mammals, plants and reptiles that might be found on or near the ocean. The information is detailed enough for older children and younger children will enjoy using the photos for ID. It’s a fabulous resource to have handy when you are off to the beach or the ocean.